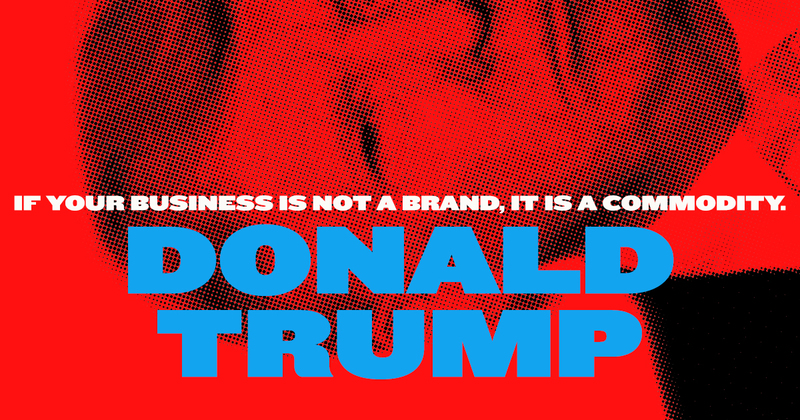 To help bring clarity, we went out and collected our favorite quotes from the four politicians and offer our perspective on what their brands mean for you and your business. 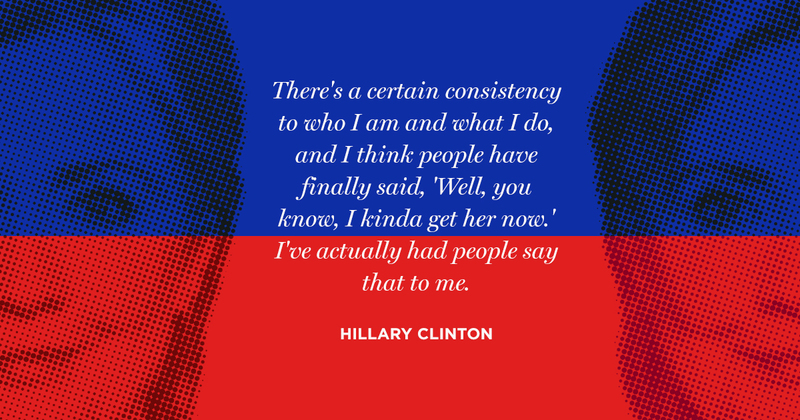 The Quote: There's a certain consistency to who I am and what I do, and I think people have finally said, 'Well, you know, I kinda get her now.' I've actually had people say that to me. Our Perspective: Mindsets don’t change overnight and neither do customer behaviors. If you’re a new player in an industry, don’t expect raving fans on launch day. Consistency will get you credibility which will open the door for new customers to give you a chance. Treat those chances as the most important thing in your organization. Show these skeptical customers that your product can deliver what you promised. The Quote: You can't just continue growth for the sake of growth in a world in which we are struggling with climate change and all kinds of environmental problems. All right? 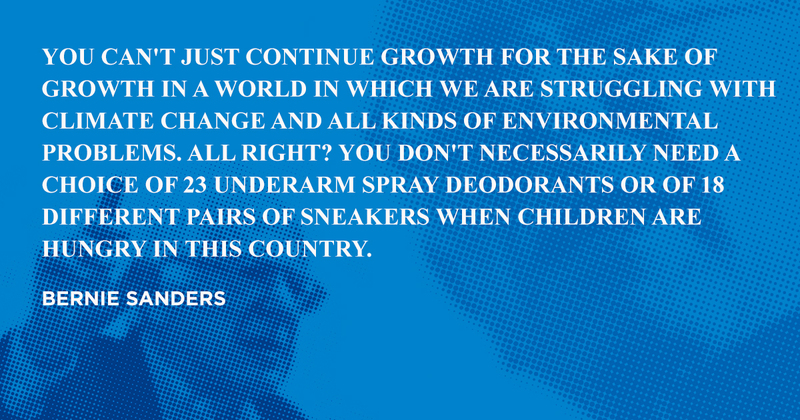 You don't necessarily need a choice of 23 underarm spray deodorants or of 18 different pairs of sneakers when children are hungry in this country. Who Are They: Representing Vermont in both the U.S. House of Representatives and then the Senate, Bernie Sanders is now running for the Democratic nomination for President of the United States. Our Perspective: Bernie Sanders understands his brand. Every public speech, debate and even this quote are on point with his core message. Whether it be in politics or selling cloud computing services, most consumers won’t take the time to dig into the nuances of your brand. Instead, they’ll draw assumptions based on what they can easily see, hear and feel. Stand out from the competition by making sure your entire organization is always speaking the same language. The Quote: If your business is not a brand, it is a commodity. Who Are They: A multi-millionaire businessman, who was also the star of his own reality TV show, Donald Trump is now running for the Republican nomination for President of the United States. Our Perspective: Commodity businesses are those that assume all products are created equal; think oil, T-bone steaks or bushels of wheat. Once you know the grade of the product, it becomes a price war. Raise your business above the price wars by offering customers a higher purpose. We believe it’s always possible to create brand loyalty, no matter the industry. The Quote: When you're putting together a campaign for president, like I've been, that entails a lot of time. It's not like I've been at the beach sipping a pina colada. Our Perspective: Every company will face criticism at some point. The manner in which they respond to the negative voices will either gain or cost them brand loyalty. 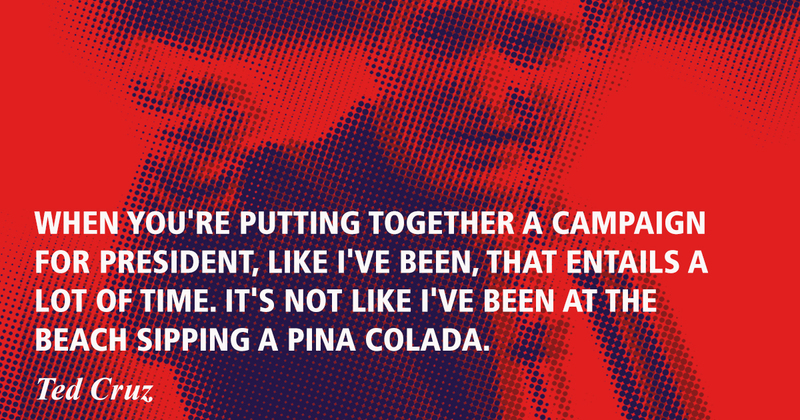 Senator Cruz made this quote while answering questions about his absenteeism in the Senate. It was this response, along with another email he sent out about the ‘significant sacrifices’ he is making, which has hurt his brand. Remember, perception is reality. Successful brands know this and find ways to go above and beyond to address customer concerns. Stay up to date on the entire list of the 52 All-Time Greatest Definitions of Branding. New definitions weekly.